Speaking to reporters, he laughed off a question about running again in another six years. A state exit poll put the turnout at over 60%. 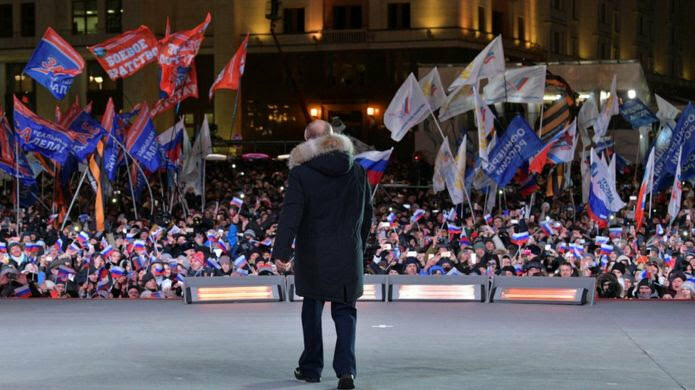 Mr Putin’s campaign had hoped for a large turnout, to give him the strongest possible mandate. Videos taken from the election commission’s live stream of polling stations also appeared to show some instances of officials stuffing ballots into boxes . Sunday’s vote was also the first in Crimea since Russia seized the region from Ukraine. Mr Putin was scheduled to speak at a rally scheduled for the fourth anniversary of the annexation – the same day as the election.